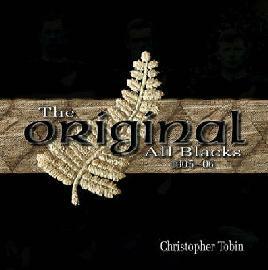 The 1905 All Blacks team (The Originals) which toured Great Britain is legendary. The men who made up the team represented a newly emerging sense of national identity. This page looks at the five players from Canterbury who were selected. Four of them went on tour. Games played in Great Britain, France and America. The team played 35 games. They won 34, and lost one. They scored 243 tries and 976 points. The captain was Dave Gallaher. He later died in France during World War One. The vice–captain was Bill Stead, and the manager was George Dixon. Players were amateurs and generally smaller in size than today’s player. The 1905 team was away from home for nine months. They sailed from Wellington to Europe on the Rimutaka. The team performed the Ka Mate haka before some of their games. Kelley, E, fl 1905. All Black rugby team that toured the United Kingdom in 1905-6. Making New Zealand : Negatives and prints from the Making New Zealand Centennial collection. Ref: MNZ-1035-1/4-F. Alexander Turnbull Library, Wellington, New Zealand. 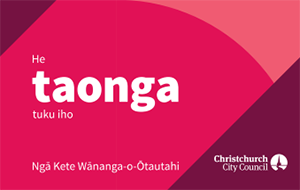 A lawyer by profession, Eric was a Catholic grandchild of Christchurch’s first Anglican bishop. His sporting interests outside rugby included hurdling, cricket and mountaineering. Known as ‘Aristocratic Eric’, Harper was a wealthy man. His wealth, status and the fact that he was the only professional man in the team, meant that he was always something of an outsider. On formal occasions he dressed in a full dinner suit while other players wore normal suits. On tour Harper seems to have been out of favour with the selectors. He played only three of the first 13 games, scoring tries in two of them. He failed to gain a place in any test in Great Britain. Eventually having played in 10 games, Harper, who could fund his own way, decided to come home via Suez, while the rest of the team travelled via the United States for some extra games. He played no more top–class rugby but was involved in administration. By World War I, Eric Harper was middle–aged, married with children and living at 8 Kilmore Street West in Christchurch. He enlisted, sailing for Suez on the Moeraki in May 1917. By April 1918 he was a Sergeant–Major in the Canterbury Mounted Rifles. At Jerusalem, his unit came under Turkish artillery bombardment and he was killed while trying to quiet the horses. Patrick Harvey was selected for the team but unable to tour. Born in 1880, Patrick Harvey taught at the Sumner School for the Deaf. He played in the 1904 test against Great Britain. When the Department of Education said it could not spare him for the 1905 tour, the Prime Minister of the day, Richard John Seddon, made the final decision that he remain in New Zealand. There is a story that each Monday, the prosperous All Blacks – Harper, Deans, Jimmy Hunter and, perhaps, others – contributed two pounds into a fund for those men who needed the cash. Bob Deans played in 19 of the Great Britain games, including the four tests and scored 18 tries. The game with which his name will forever be linked took place in front of 40,000 people at Cardiff Arms Park on 16 December 1905. The team had been on tour for 3 months, tiredness had crept in and some carried injuries. The Welsh crowd was passionate and vocal. After 23 minutes, Welshman Teddy Morgan scored. In the second half, Wallace gathered the ball in a charge down and sped down the field with Deans on his flank. Deans’ called out to Wallace Bill, Bill and Wallace threw a long pass. Deans gathered the ball in, altered his run to take the shortest route and, as Teddy Morgan tackled him, dived for the line. The crowd was silent, evidence that it believed that Deans had scored. According to Wallace, Deans was pulled back by the Welsh. As he got up, the Welsh half put the ball six inches in front of the line. When the referee, John Dallas, 27, a Scot, arrived, he awarded a five–yard scrum. The match ended Wales 3 – New Zealand 0. Deans, not the man to put up with what he saw as an injustice, promptly sent a telegram to the Daily Mail: Grounded the ball six inches over line. Some of Welsh players admit try. Hunter and Glasgow can confirm was pulled back by Welshman before referee arrived. Bob Deans died at Homebush on 30 September 1908 after developing pneumonia following an appendicitis operation. He was buried with his father in the central portion of the Addington Cemetery. NZ Truth 10 October, 1908, page 3 reported " he was chivalrous to a degree … he played the game and loved it for the honest recreation of a manly sport. To the thousands who knew him only by sight and reputation, he was popular; to those who knew him, he was an ideal; and under all circumstances, he was … a gentleman. The baby of the team at 21, Robert ‘Bob’ Deans was the grandson of the pioneering Deans family and heir to prime city and rural real estate. He was an outstanding sportsman as well as Head boy at Christchurch Boys’ High School. Deans worked on family farms at Riccarton and Homebush. He had strong religious beliefs and neither smoked nor consumed alcohol. Bob was six feet tall (1.82 m) and weighed 13 stone four pounds (84.36 kg) and was described as splendid figure of colonial youth . Christchurch born Frederick Newton was a railway worker. The heaviest of the forwards, he was christened ‘Fatty’ by his teammates. Fred Newton played in 16 games, including tests in England, Wales and France. In the game at Crystal Palace on 2 December, he scored a try after a fellow team member grasped the ball from an English back’s foot whilst he was in the act of kicking. After the tour Newton was transferred to Westport, where, among minnows, he ended his sporting career. On Saturday 20 August 1955, before kickoff at the New Zealand–Australia test at Athletic Park, Fred Newton was one of the eight survivors from 1905 who was led onto Athletic Park and introduced to the crowd. He died in Christchurch in December 1955 and his ashes were scattered at Lancaster Park. Born in Leeston in 1877, George Arthur Gillett was a tramway worker who played at fullback and wing forward. A Boer War veteran, he was an Auckland rugby representative both before and after that war. He impressed on a fundraising three match tour of Australia and this led to his selection for the tour of Britain. George Gillett played in 25 games including the four tests in Great Britain. He scored one try and one goal from a mark. He also had six conversions to his credit. On tour he played in the shadow of Billy Wallace who scored 23 tries, 70 conversions, 3 penalty goals and two dropped goals. Gillett stuck doggedly to top–level rugby, representing New Zealand in two of the three tests in Australia in 1907 and against an Anglo–Welsh team in 1908. When that Anglo–Welsh team prepared to leave the Auckland wharfside, a British player Percy Down, leaned out too far to farewell friends. There was a cry of Man overboard and George was one of those who dived into the water and supported the player until a rope was lowered from the ship. While in England, Gillett had observed the northerners playing rugby league. On his return, he was tempted to change codes. In 1908 he toured Australia with a New Zealand rugby league team and then Britain with an Australasian side. Later he was an organiser, helping to promote the game in New Zealand. George Gillett, the last of the Canterbury Originals, did not face the southerly wind at Athletic Park with his surviving team mates in 1955. He died at Onehunga in 1956. The only time the four Canterbury men played together on the tour was on 15 November 1905 at Bedford. It was a day of rain and hail and the All Blacks were dispirited by the fact that the Bedford side was stacked with outside players, including Irish international Basil Maclear. An English journalist commented they wound up the second half with quite the most bewildering as well as brilliant bouts of passing they have ever given . On one occasion, 14 pairs of hands were involved in short passing, with Harper, the last to receive the ball, being knocked into touch close to the corner flag. Some in the crowd realising the All Blacks had reached 599 points scored on tour, shouted Make it 600 boys . The team obliged with a 41–0 score including a try from Deans and two conversions and a goal from a mark by Gillett. Members of the 1905 All Black rugby union football team gather at Athletic Park, Wellington. 1955. Negatives of the Evening Post newspaper. Ref: EP/1955/1808-F.